The family of the 13-year-old girl who was allegedly pimped out by her friend to a priest has sought help from police after receiving death threats and phone calls from suspicious people. Eastern Police District director, Chief Supt. Romulo Sapitula, on Wednesday said he had ordered the Marikina police to provide protection to the girl and her family. The threats and suspicious phone calls were reported to authorities by the victim’s mother, he added. On July 28, Msgr. Arnel Lagarejos, parish priest of St. John the Baptist in Taytay, Rizal, was arrested in Marikina as he was bringing the girl to a motel. According to the minor, the priest had “booked” her twice before through her 16-year-old friend. The police said Lagarejos may face up to 12 years in jail after the Marikina Prosecutor’s Office found probable cause to charge him for the use of trafficked persons under the Anti-Trafficking in Persons Act of 2003. 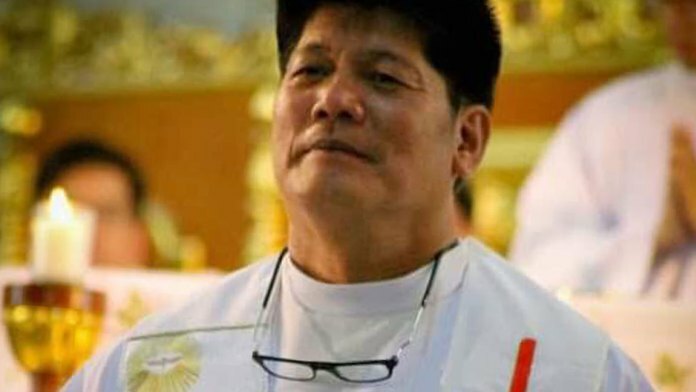 The priest was released on Tuesday after posting bail of P120,000. The pimp, who is in the custody of the Marikina social welfare department, faces a non-bailable charge of qualified trafficking which may earn him a lifetime behind bars.